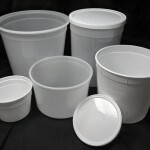 We sell round plastic food tubs in sizes from 16 ounces to 10 lbs. Our 86 ounce tub is also referred to as a 5 lb. tub. 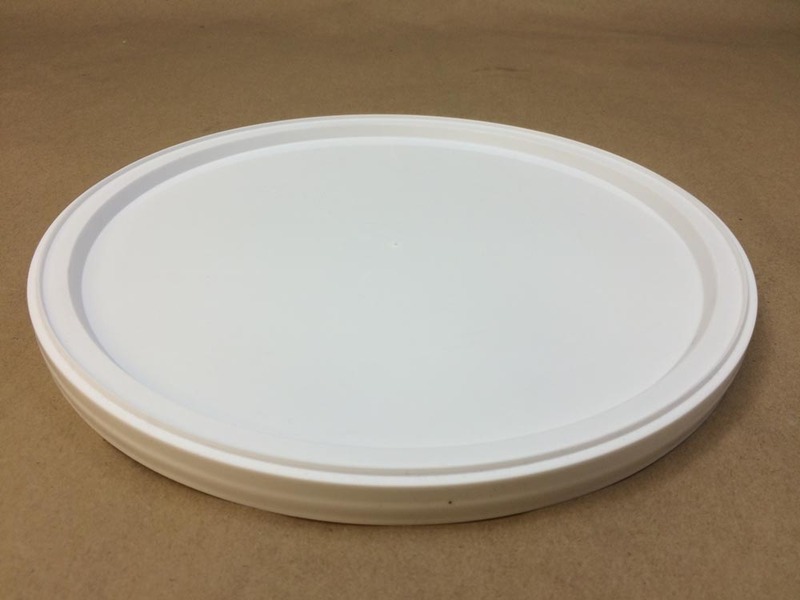 All of our lids are made from white low density polyethylene. Our 16 ounce, 32 ounce, 86 ounce and 10 lb. 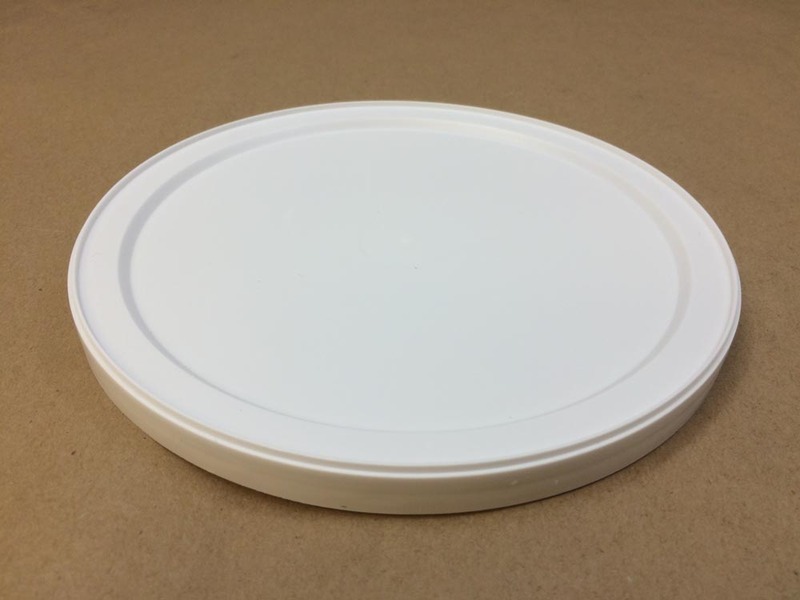 tubs are all made from white high density polyethylene. Our 64 ounce tub is made from natural polypropylene and our 128 ounce tub is made from natural high density polyethylene. We have been asked if our plastic tubs are freezer safe. You can find the answer to that question in this article. Some common uses for these tubs are for ice cream, pastry, cookie dough, salsa, soup, pasta sauce. Our 16 ounce and 32 ounce tubs take the same size cover (sold separately) and listed below. 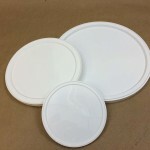 White Plastic Cover for 32 &16 oz. 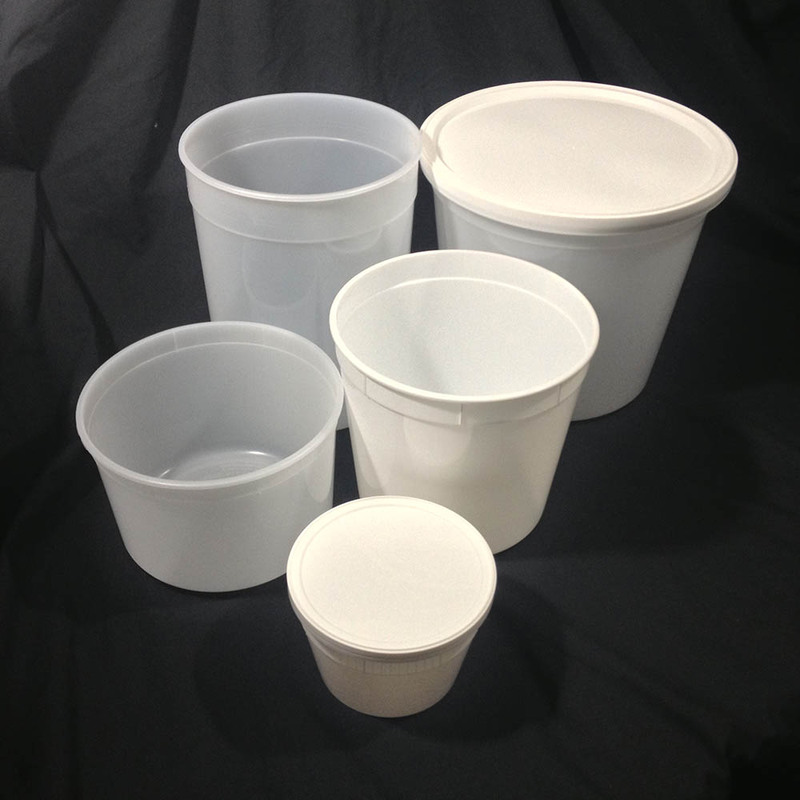 Our 64 ounce, 86 ounce and 128 ounce tubs all take the same size cover (sold separately) and listed below. 86 oz. 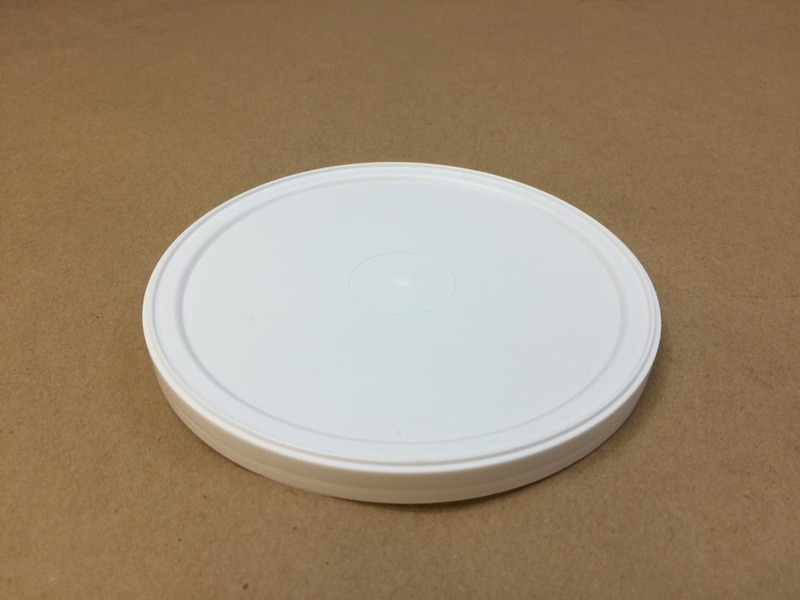 White Plastic Round 5 lb. Are your plastic tubs freezer safe? 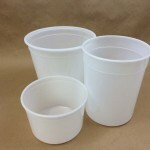 Are Your Plastic Deli Tubs Food Safe and Freezer Safe?